Government has been urged to increase funding and support People Living With HIV/AIDS (PLWHA), non-governmental organisations (NGOs) and partners working on HIV awareness in line with the global campaign for safer motherhood and HIV-free babies. Making the call recently, was Mrs. Kadiri Oluseyi, Executive Director, Centre for Positive Health Organisation, Lagos State under the platform of Abidjan – Lagos – Corridor who further canvassed for elimination of stigma for People Living With HIV/AIDS. Mother-To- Child- Transmission (eMTCT) of HIV. 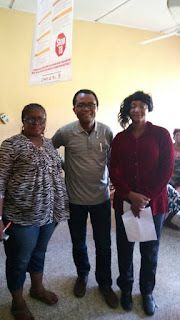 Oluseyi spoke when members of Journalists Alliance for Prevention of Mother-To-Child Transmission of HIV in Nigeria (JAPiN), Lagos state Chapter made special investigative visit to the office of Abijan-Lagos Corridor Organisation, in Badagry General Hospital, Lagos. Oluseyi said: “Government should support the People Living With HIV/AIDS (PLWHA), non-governmental organisations (NGOs) and partners working in the area of HIV, support groups with funds. “Our focus is that information reaches every individual about HIV counselling, testing and treatment. We also provide access, care and support especially to those that have tested positive. We believe that all those that have tested HIV positive must be treated with equal right. We Stand for justice,” the Executive Director said. “Getting infected is one thing and accepting the result is another, likewise taking it upon oneself to live a positive life is also another thing. First, they need to accept that they are positive and second, is access to treatment. By the time they are beginning to access treatment and now fully in charge of themselves, knowing that they have to remain on treatment and live a positive life to avoid getting fresh infection or getting other people infected, definitely, the information would have become valuable.